Want to save a bunch of cash and eat great food? 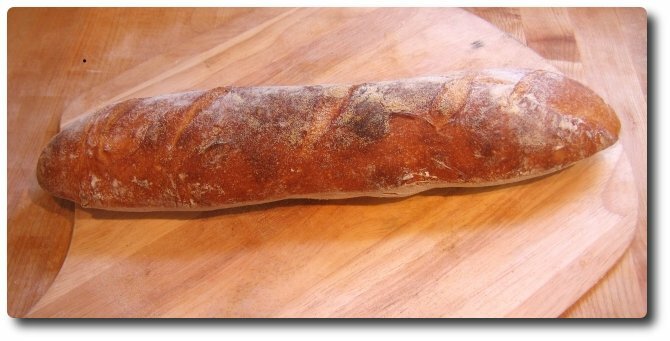 This loaf of bread is $4.75 from a bakery (if you’re lucky enough to be able to find it). It’s less than than fifty cents if you make it. The flour was milled less than an hour from here. and it was baked in my kitchen. There isn’t a better loaf of bread on the planet, and you can make it yourself. This website is full of recipes that taste better than almost anything you’ll ever get from a restaurant and much better than anything that you buy pre-made in a grocery store. And nearly all of it is cheaper. And even when it’s not cheaper, it’s better. And it’s fun. 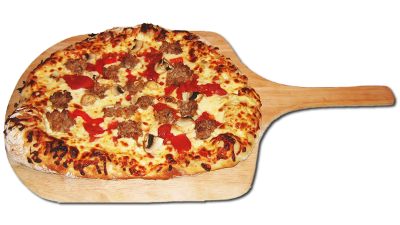 The World’s Best Pizza comes out of your oven! You can make this pizza! However once you taste it, the thought of eating Domino’s will make you want to sandpaper your tongue. Check out the “recipes” link at the top of the page, find one that looks interesting, and give it a try! If you like spicy food, the Garlic Shrimp makes an incredibly impressive appetizer, with very little work. Browse through the website and try a few! I’ve made every single item here, and there isn’t a single one that hasn’t been a big hit with friends.